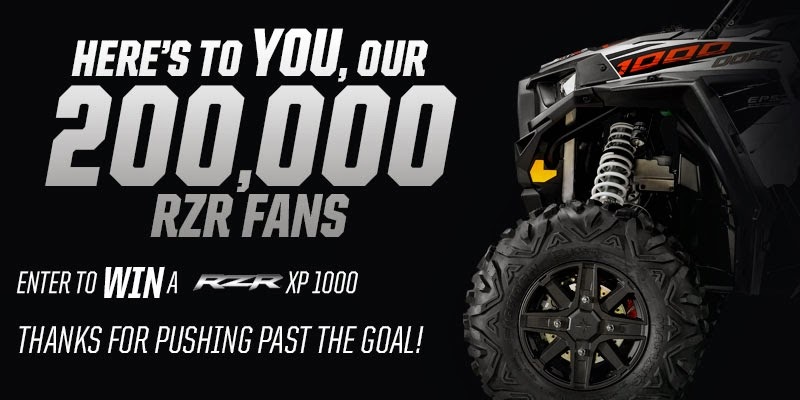 The folks over at Polaris RZR are celebrating 200,000 Facebook fans. Here's your chance to win a $25,000 four wheeler/quad. Ends on Halloween. You must signup to receive their emails.